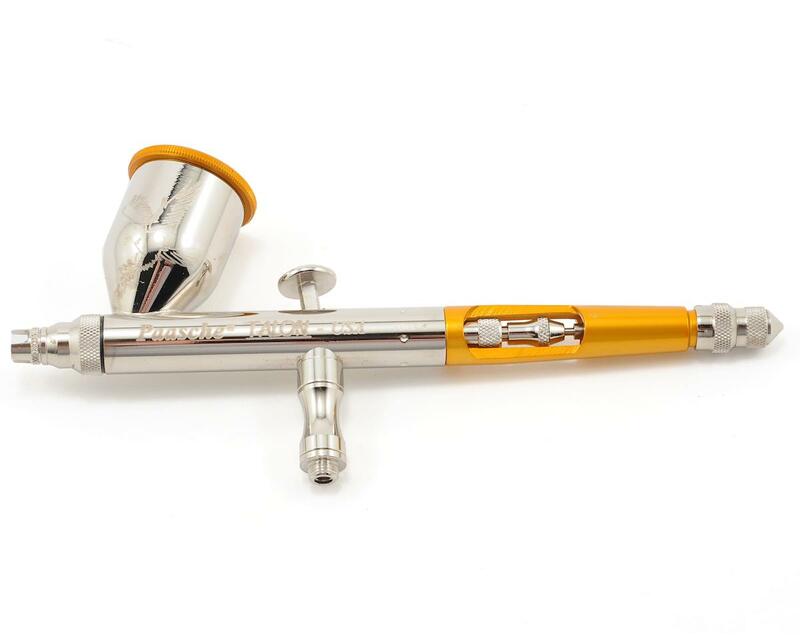 This is the Paasche Talon Gravity Feed Airbrush. 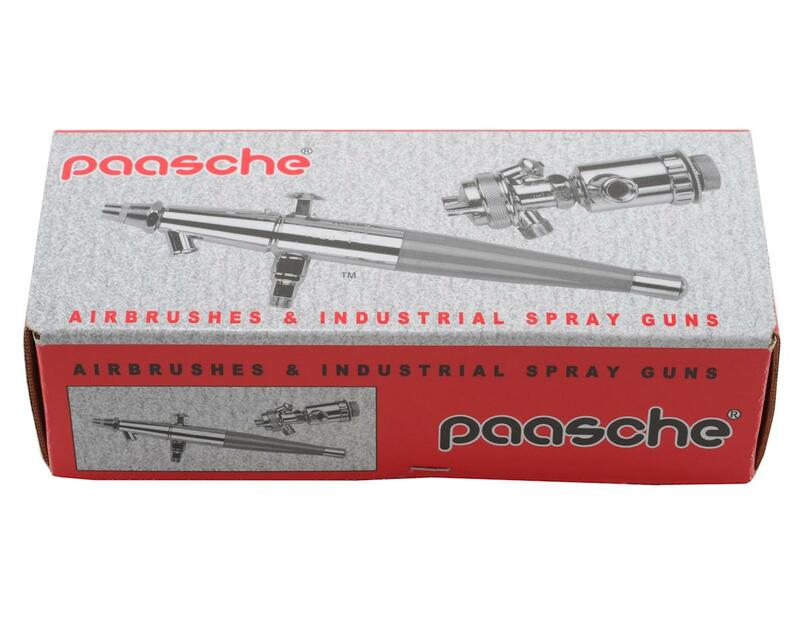 The newest addition to the Paasche Airbrush line is the gravity feed “Talon”. The Talon was designed to be Paasche's high end airbrush and will deliver the highest level of detail and control. The trigger and air valve have been redesigned to allow for a smoother stroke as well as ease of assembly and durability. The Talon is suitable for any application requiring fine detail control up to patterns of 1-1/2". The Talon is 100% made in the USA at the Paasche Chicago plant. I bought this airbrushes and painted some 1/35 model. I like the overall feel of the airbrush.One thing i don't like about the brush is the needle to far too out from the nozzle and bend easily when handle without care. I bought this brush about 9 months ago because I needed a new fine detail brush so far after 40 bodies I have had to replace to many parts on it. I went through 6 nozzles, 4 needles, 2 triggers and 2 rocker assemblies. Don't get me wrong its a good brush just not a great brush. I think it would be a great starter brush for light or general use but any more than that spend the money to get a better airbrush. I wont be buying another talon the parts just ware to quick. I bought this a few days ago and have painted 2 bodies already and am quite pleased with this airbrush, I love the needle valve adjuster, it's like EPA for your paint pattern so you can't paint too large of an area. I am using pactra paints thinned 50/50 at 25 psi.